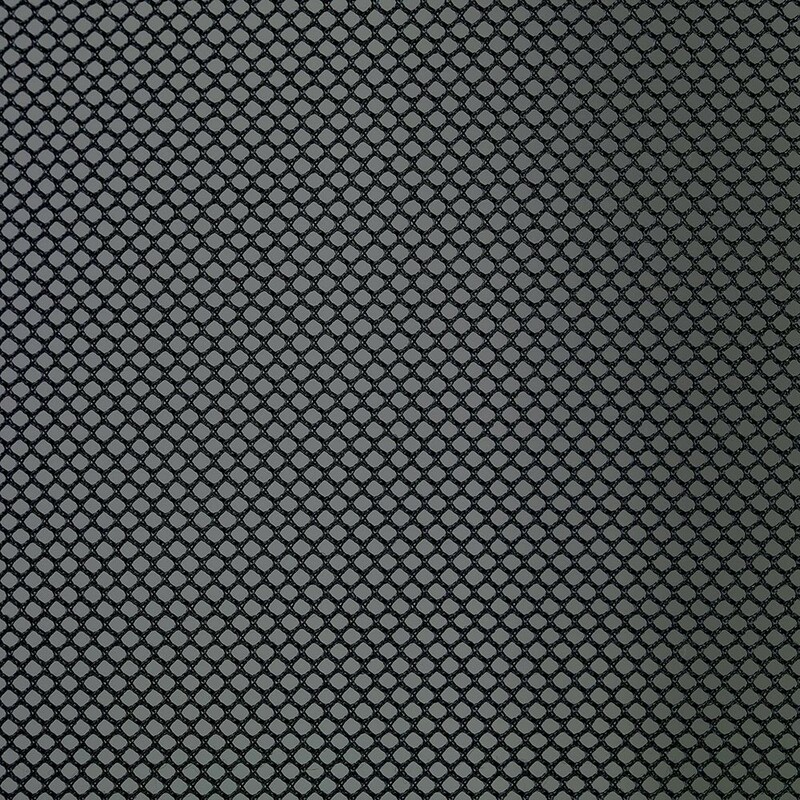 Spare 14ft trampoline net for for 4,30 m trampoline. The enclosure is essential for your safety on the trampoline. It protects you if you fall and stops you from exiting the jumping area. If your old net is damaged or torn, you can change it and keep the original posts if they are in good condition. This enclosure can therefore be perfect for your needs, if your trampoline measures 4.27 m in exterior diameter and if your enclosure has 8 net posts. 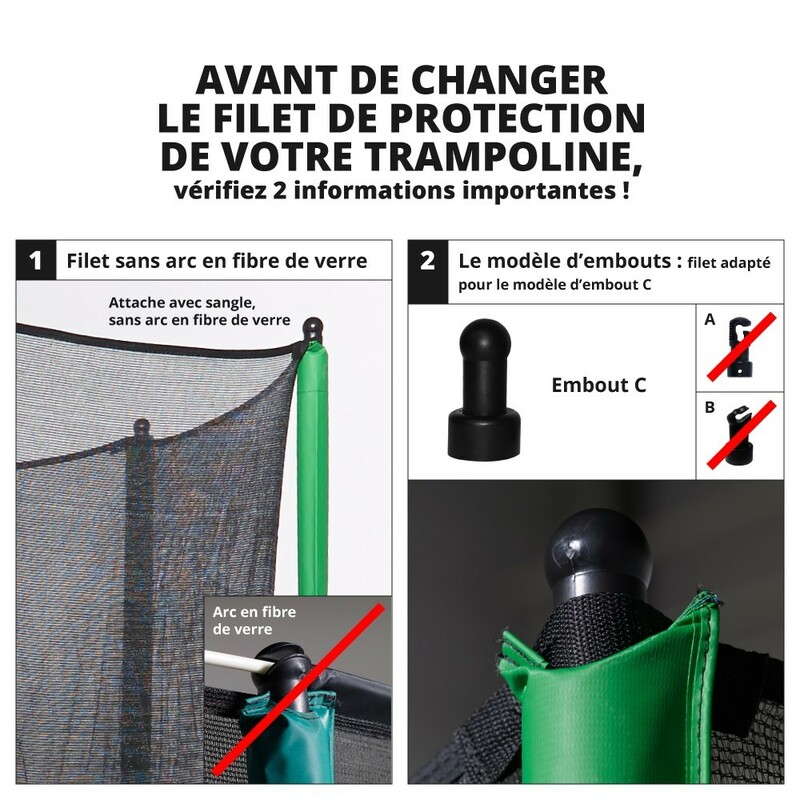 - This enclosure is perfectly adapted to the round Jump’Up and Booster 430 trampolines but also any other trampoline not bought from France Trampoline if it has the same measurements. 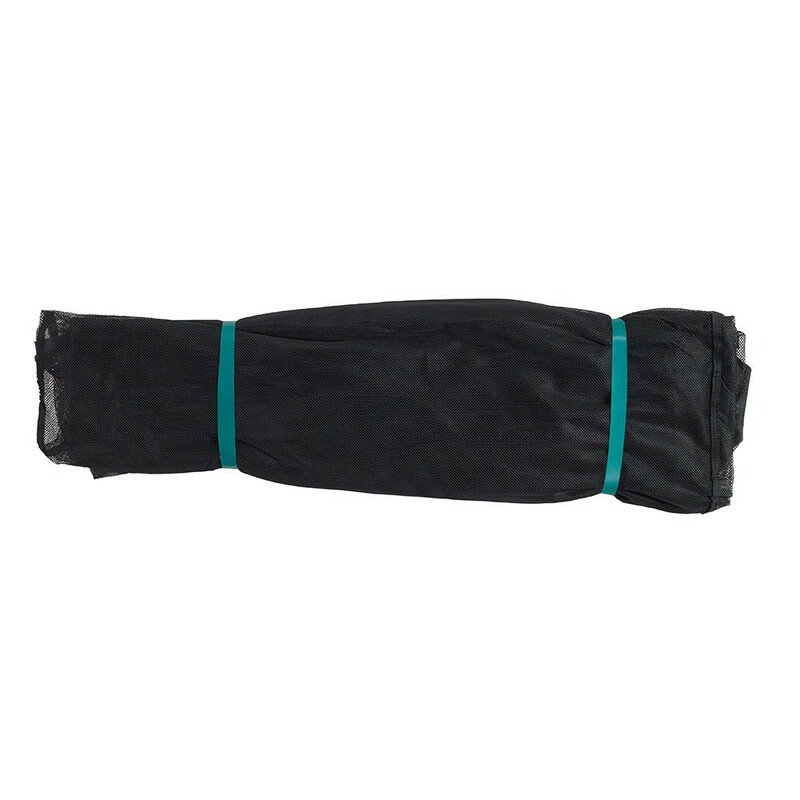 - This net is made from polyester netting, whereas enclosures usually found on the market are made from polyethylene. Polyester netting is softer and more resistant over the course of time. Its fine netting is most appreciated, as children no longer run the risk of getting their fingers stuck in it. The UV treatment applied to it allows you to leave your enclosure outside all year round. 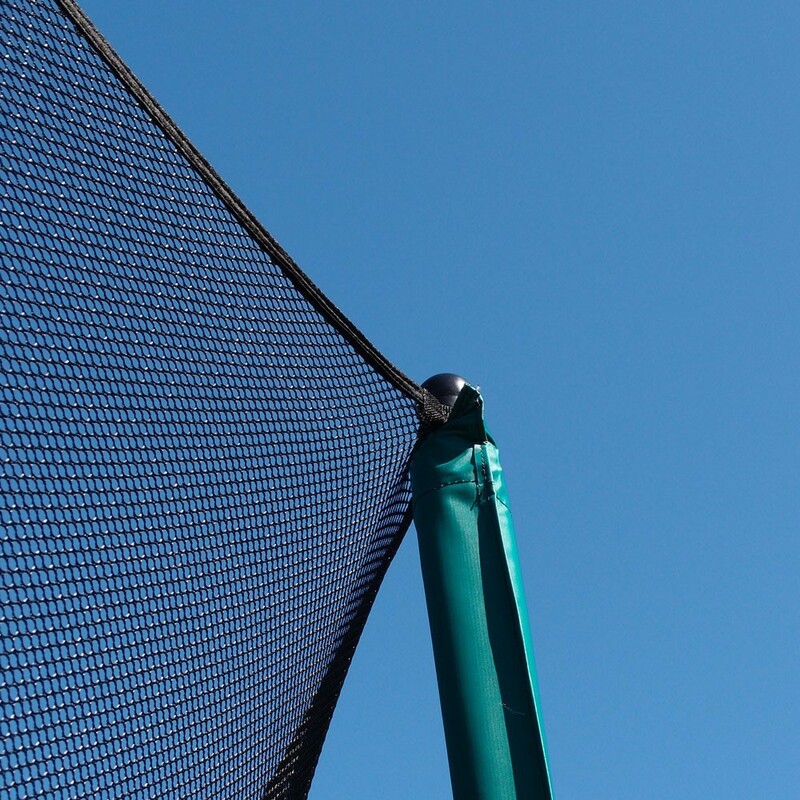 - The opening to this net uses a zip which is accessible from the inside and the outside of the trampoline. 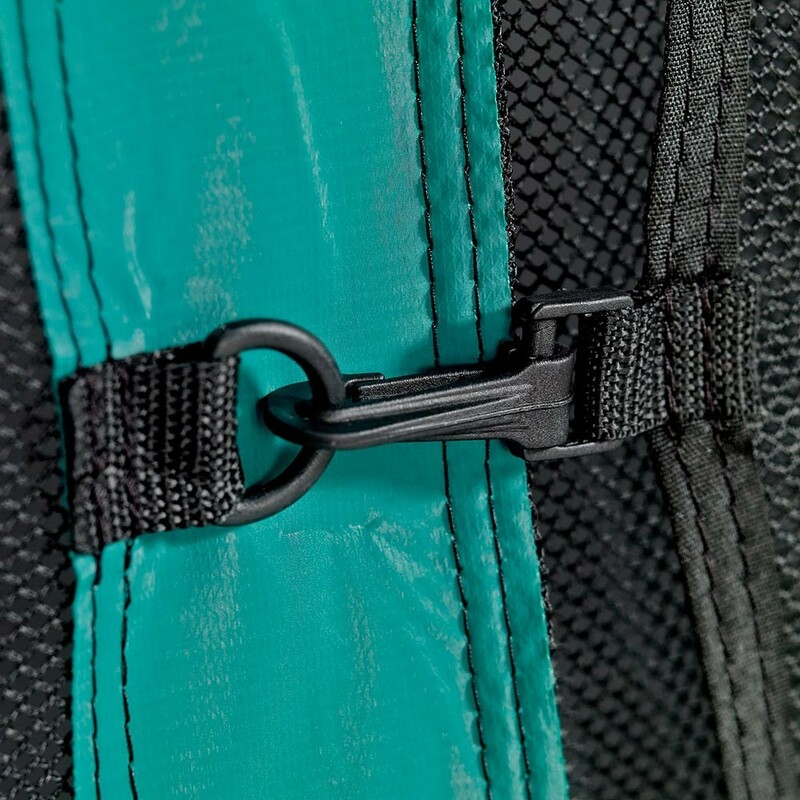 We have used a different colour for the stitching of th zip so that you can rapidly identify if the door is closed. - The fixation system of this enclosure is simple and practical. The top part of the enclosure is held in place using plastic caps on the top of the net posts, and at the bottom, the enclosure goes over the framework of your trampoline and is attached to the springs. 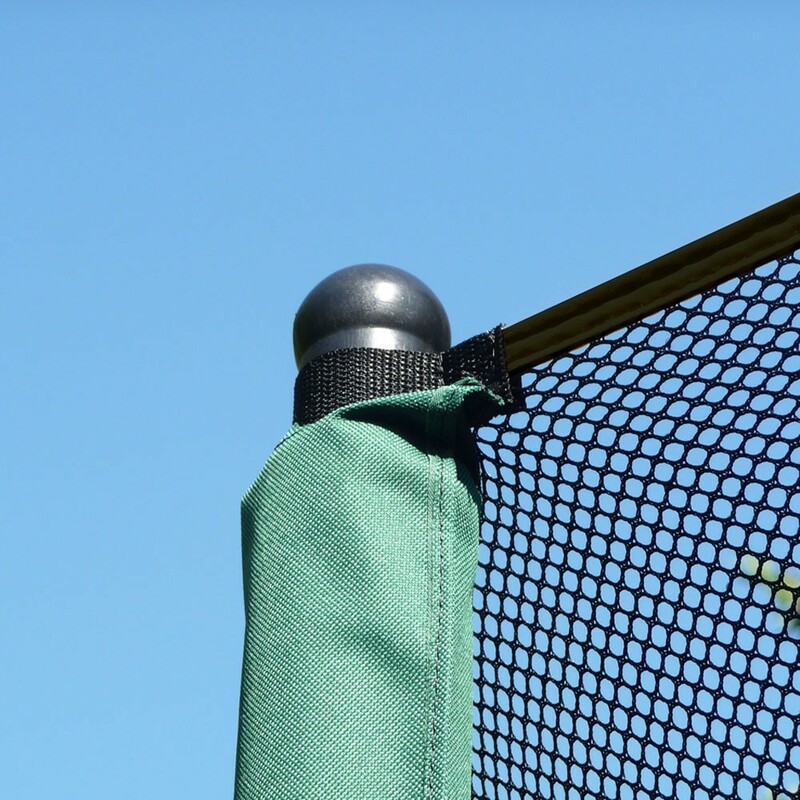 Elastic straps with a hook at the end have been used to adjust the tension of the net, therefore allowing it to break your fall more effectively. If you do not already have the plastic caps, do not forget to add them to your basket. 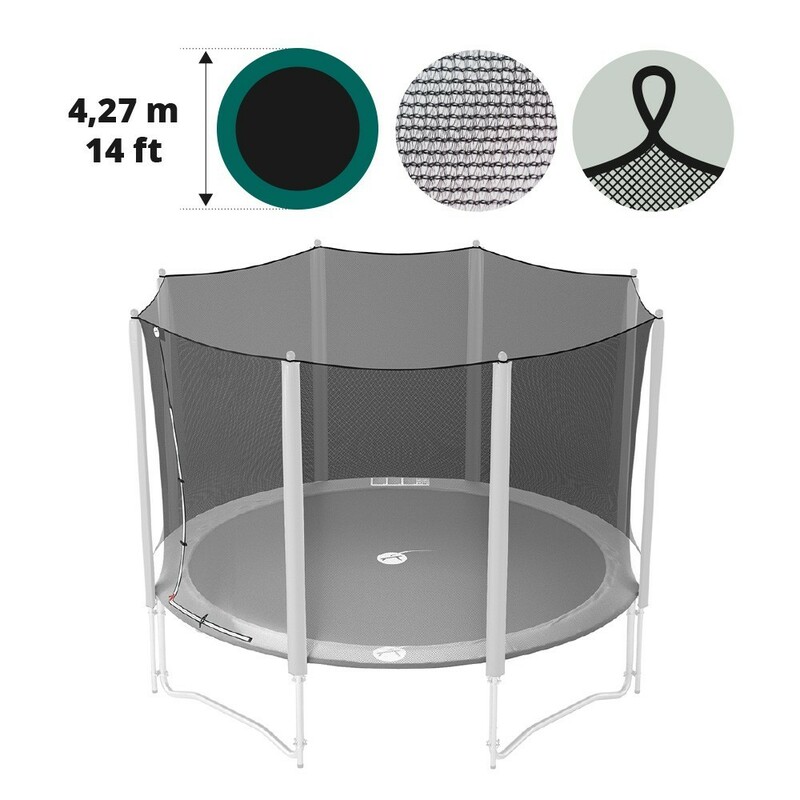 - This enclosure for trampolines is perfectly adapted to all round trampolines of 4.27 m in diameter, which stands 89 cm from the ground and with 2.60 m high net posts.